Calling all innovative teachers and librarians, home schoolers, scout troop leaders and readers interested in books and technology! 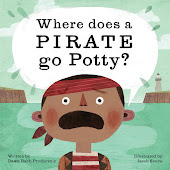 I'm embarking on a quest to capture video footage of story time experiences involving books in my Story Time with Signs and Rhymes series and/or book trailers for titles in my series. For a limited time, I will provide a complimentary Skype/Facetime or Email Author visit with any group that shares of video of this nature that is suitable and available for upload to YouTube. If you're in my local area, I will also donate a limited number of in-person visits for groups that are willing to capture my story time program on film so that I can upload the experience to YouTube. As a fun extra, over the next several weeks I'll share my lesson plan for a hands-on, self-guided Book Trailer Project that you can incorporate into your own learning environment. This week I'll introduce the project and provide sample book trailers. Greetings! Thanks for stopping by the Book Trailer Project page. My name is Dawn Babb Prochovnic. 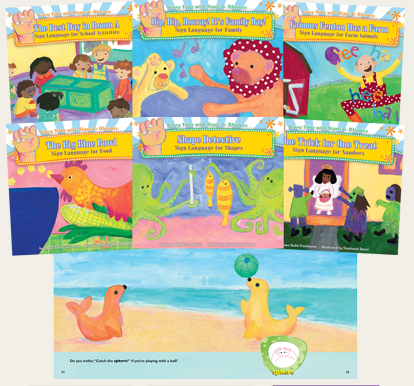 I’m the author of 16 picture books in the Story Time with Signs & Rhymes series. None of my books have book trailers...yet. I’m hoping YOU will help me change that! Most people are familiar with movie trailers. Those are the short movie previews that persuade people to watch a particular movie. A book trailer is a short movie that previews a particular book and persuades people to read that book. It can be a preview of the book. Here is an animated example for the book, Ollie and Moon by Diane Kredensor, and here is an example with still shots from Paul Bunyan and Babe the Blue Ox, by Robin Koontz. It can be an animated retelling of the book such as this example for the book, An Army of A’s by Robert Scott Kelly. It can be an creative retelling, with still shots from the book. Check out this example for the book, A Visitor for Bear by Bonny Becker. It can be a demonstration of a unique element of the book. Here is YouTube video of me singing and signing along with my book, See the Colors. It can be a series of filmed interviews or interactions with people (kids!) who have read the book. Here is an example for the book, Pete the Cat, by Eric Litwin. It can be audio interviews with people (kids!) who have read the book and funny film footage to go along with the audio. 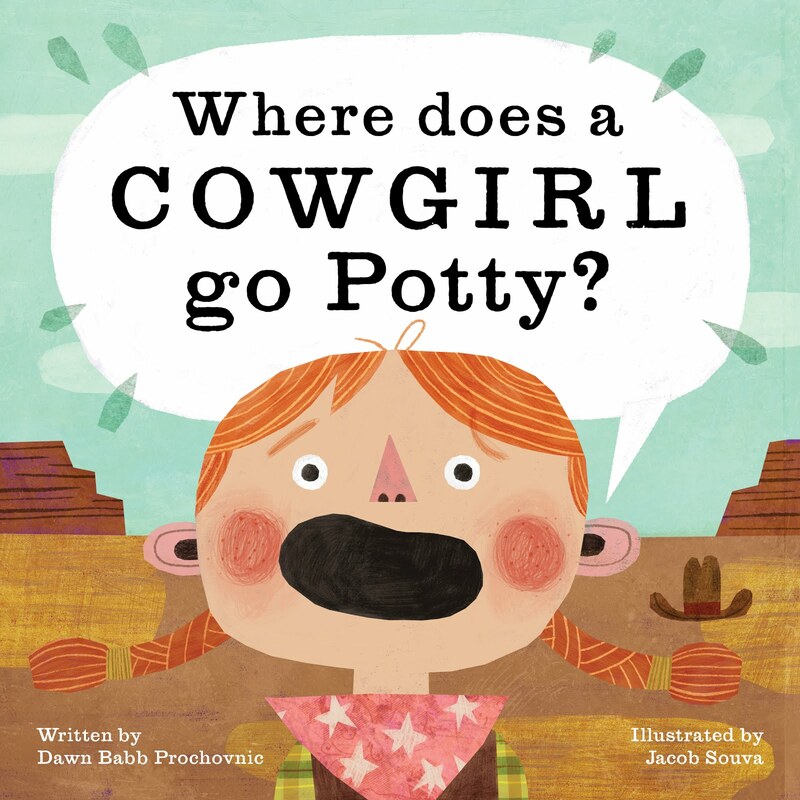 This is a great trailer for the book, Little Chicken’s Big Day, by Katie Davis. It can be a book talk with one or more students sharing favorite parts or unique aspects of the book. Watch this book talk for the book, Song of the Water Boatman, by Joyce Sidman. It can be a staged reading of the book. Here is a YouTube video of me reading and signing along with my book, One Trick for One Treat, here is an example of me reading Wear a Silly Hat to a group of children, and here is a really popular YouTube video of Eric Litwin and friends reading his book book, Pete the Cat, with a live audience. It can be an audio reading of the book with close ups and creative camera work of the book art. Here is an example for the book, The Little Mouse, The Red-Ripe Strawberry, and the Big, Hungry Bear by Don and Audrey Wood. It can be a creative re-interpretation of the book, as shown in these examples for the book, Uh-Oh!, by Mary Newell DePalma and the book, Walter the Farting Dog by William Kotzwinkle. The possibilities are limited only by your imagination! You can find more examples here, (on the website of Mrs. Hembree, a library teacher from Bell Elementary in the Seattle area) and here (on another author's blog post about the 90-Second Newbery Film Festival). Stay tuned. Next week I'll discuss choosing your book and planning your book trailer. (January 2014: Here is a fun update! Mrs. Hembree and I met at a library conference in October 2013. She recently started a "Book Trailer Club" at her school and some of the students in the club are going to work on book trailers for my books! Here is a sample book trailer Mrs. Hembree created for my book, Shape Detective. She created it during winter break . . . using iMovie on her iPhone! I LOVE it! Once Mrs. Hembree's students start sending me their book trailers, I will post them on this summary page).